If you go down to the woods today you're in for a big surprise. Well, maybe not, unless you see a disgruntled Badger a-lurking, but if you get a ticket to go to Thetford Forest - Suffolk on July 10th then you will be in for a right treat as the fantastic lady songstress Katie Melua has announced she will perform at the forest setting as part of Forestry Commission Live Music 2010. 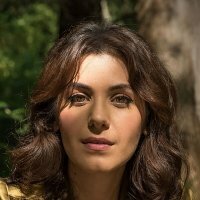 The shows take place all over English forest locations each summer and attract a great variety of artists and the addition of Ms Melua is a real boon for the Forestry Commission and their cause. Katie herself has been busy in the studio with none other than William Orbit (who produced Madonna's fantastic 'Ray Of Light' amongst others) so will be ready and eager to perform her new material to the forest gatherers, and any animal fans (I'd say moles love her - shame they can't see her). Tickets go on sale Friday 12th February and cost £33.00 (check the "Tickets" button below), subject to booking fee. Go get some nature in you!